Well the good people at Raincoast Books sent me a birthday present: this gorgeous large format coffee table book, The Collected Doug Wright, Vol. 1! Naw, I'm kidding about it being a birthday present. It did arrive just days before my birthday but they actually sent it to me hoping I would review it here on the TI blog. Well, thanks good people at Raincoast! I am only too happy to oblige -- and for a couple of excellent reasons: first, because this is an absolutely beautiful and fitting tribute to a tremendously talented and prolific cartoonist who deserves better than to be forgotten in obscurity, and second, because Doug Wright was a Canadian cartoonist based in Hamilton, Ontario... and I am a Canadian cartoonist based in Hamilton, Ontario! So this one's for the hometown team - yeah! Go Hamilton Cartoonists! 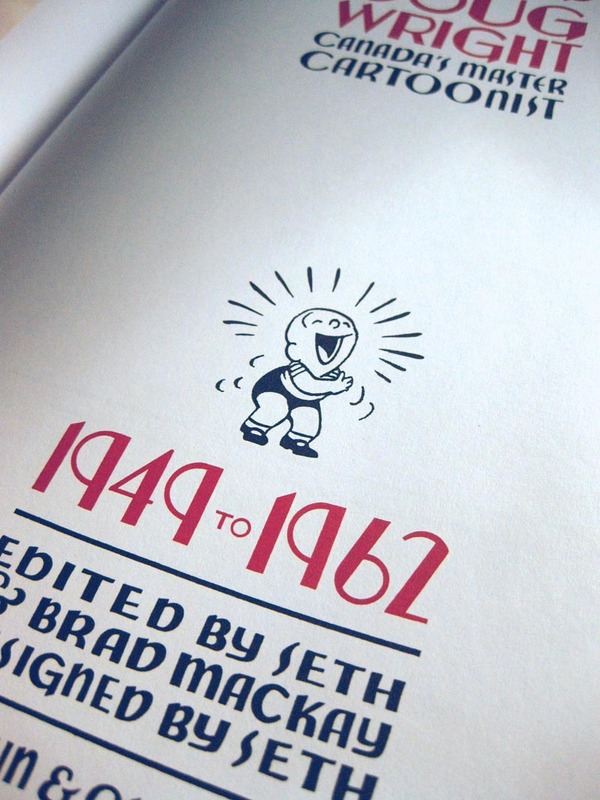 This book is a labour of love conceived of and beautifully designed by internationally acclaimed cartoonist Seth, with a thoroughly fascinating biographical section researched and written by Brad McKay. I'd love to shake the hands of both these gentlemen for their dedication in making this handsome volume a reality. Even though Doug Wright's Family was an important part of the comic strip culture of my youth, I had all but forgotten it ever existed. When I showed this book to friends and family they all reacted as I did: surprise... delight... and recollection. I wouldn't doubt that millions of Canadians of a certain age ( uhh, that would be age 45 ) would likewise recall spending time with Doug Wright's Family each weekend in their local papers. 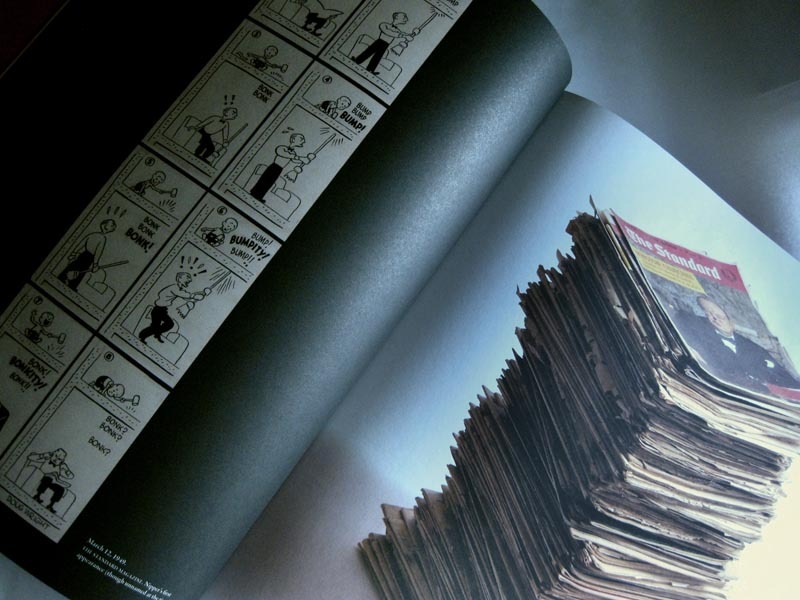 Before you even get close to the 'main course' of this book (the seemingly endless pages of Doug Wright's Nipper comics) you will spend hours luxuriating in the front section. Here you'll learn the fascinating details of Doug Wright's early struggles to develop a syndicated comic strip. Even for those of us who think we know Doug Wright's work, there are many revelations, such as the fact that Wright's big break came in 1948, when Jimmy Frise, the creator of an immensely popular Canadian comic strip, Juniper Junction, died suddenly at age 57. Seth has filled this front section with a cornucopia of rare and obscure Doug Wright artwork. I am grateful that he astutely chose not to bleach out the weathered and browning paper surfaces of printed samples, and often includes the small markings, whited out corrections and hand-written border notes on the many pieces of original art he shares with us. These details add warmth and charm to the material, and leave you feeling as though you are sharing in what must have been a glorious experience for the designer - the opportunity to flip through all this beautiful artwork and decaying newsprint. Those like me who love spending time in old bookstores will understand what I mean. One thing that really struck me as I saw Wright's early illustration work for the first time is how accomplished a draughtsman he was. This becomes even more amazing when we learn that he was self-taught. 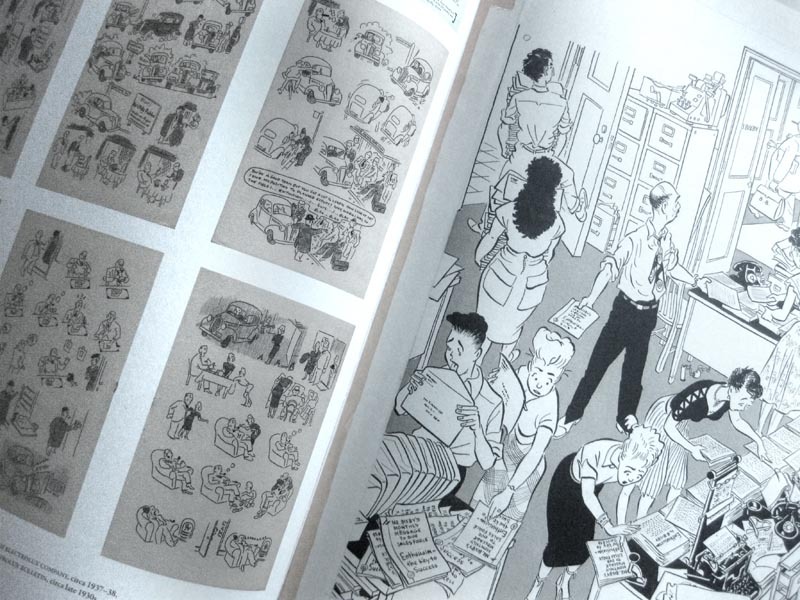 The many examples presented of his work during these years will appeal especially to fans of the European 'ligne claire' school that originated with Tintin creator, Hergé. Finally there is the long and generous Nipper section of the book. This will be the work we (45 year old) Canadians remember so fondly. Actually, as Seth points out in his introduction, most of us remember the strip as "Doug Wright's Family". (You'd have to be even older than 45 to recall the days when it was known as Nipper - and there's an interesting story in the book revolving around that name in the book). 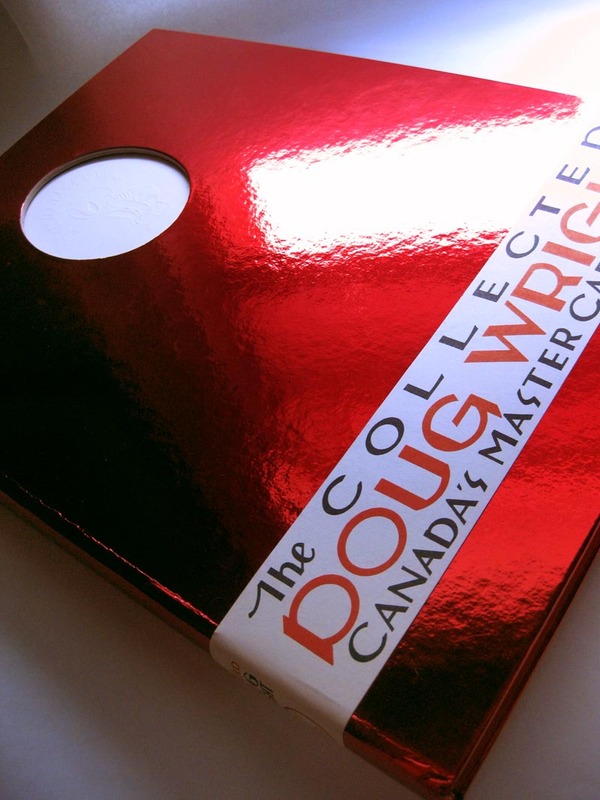 The Collected Doug Wright, Vol. 1 is available from Raincoast Books. Happy Birthday! 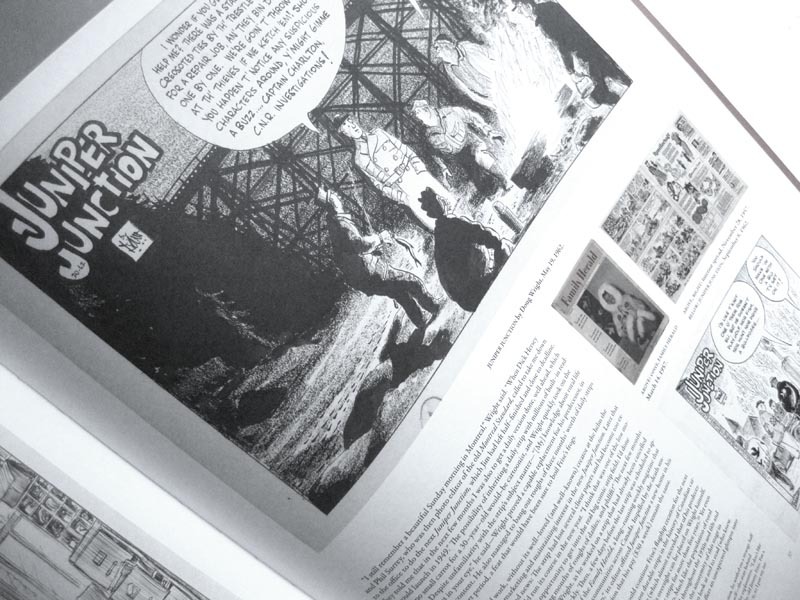 I completely linked to your blog from my blog about the new Doug Wright book. I just got it a few weeks back and it's amazing. Everyone else seems to be wishing you a happy Birthday, so I'll do the same. I hope you plan on doing something on Len Norris. 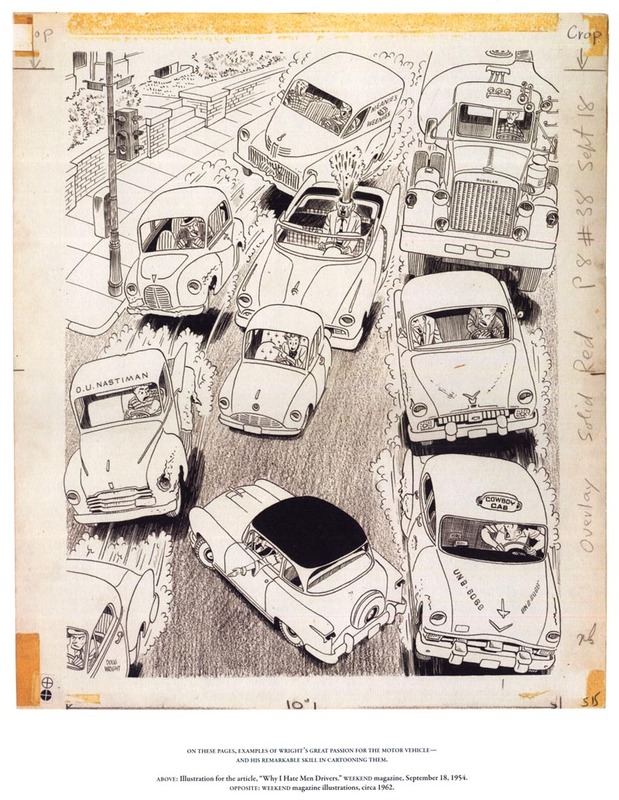 He was a Vancouver cartoonist strongly influenced by the Brits. I have fond memories as kid pouring over a couple of compendiums my Mom had of his work. Oh! Happy birthday! And like you, I grew up with Nipper in the Weekend Magazine. Wanted to have a Hot Rod just like Nipper's but couldn't figure out how he made it. Completely lost track of Doug Wright after Weekend Magazine stopped coming. LEIF.....Wow....your'e way too young to be doing the great stuff you're doing. Happy Birthday, toddler! Happy Birthday Leif! I love the Doug Wright cartoons! I remember reading Wright's comics every weekend when I was a kid...but I don't remember if it was Nipper or Doug Wright's family. I have to get this collection...I loved those comics. Happy birthday, Leif! Many happy returns of the day! PS-- do you find it intimidating to have a father in law who believes in taking off his belt to smack his children when they don't behave? Does it help to keep you on the right path? Thanks David! You know, I used to be afraid of my father-in-law... but we gave him his first grandson and we've been golden ever since. Ahhhh.... nothing levels the playing field like a grandson.